Mississippi’s prime Gulf locale makes it a perfect state for oysters. But the benefits don’t just stop at the coast. Throughout the state, you’ll find oyster bars and seafood restaurants that are serving up fresh catches that are the next thing to getting them right off the boats. Eat your fill at these 10 best places for oysters in Mississippi. This multi-location oyster house is popular for a reason: they know how to do oysters to everyone’s liking. You can get ‘em charbroiled, fried, on the half shell, Rockefeller, Bienville, Cajun style, or on a po’boy. Or, if you can’t make up your mind, grab a sampler and indulge in all the flavors. This refined Southern oyster house never disappoints. Their impressive selection makes it hard to choose just one, but their oysters are a fan favorite for a reason. They’re also a popular option for weekend brunch. This small gas station seems like an unlikely spot for amazing oysters, but its setting only adds to its intrigue. Inside this counter-serve seafood bar, you’ll find some of the best oysters you’ve ever tasted. They’re cooked fresh, southern style, and have earned their reputation as the best around. There’s a lot of Cajun flair and fare here, but the oysters are an obvious favorite. They have a full oyster bar that lets you pick between raw, char-baked, Rockefeller, and other varieties, or you can mix and match. You can also add a side of fried oysters to any order to make every meal complete. Don’t judge a book by its cover: this offbeat locale is bursting with amazing seafood. If you’re craving oysters, you’ve got two options here: order from the menu or stock up at the buffet. Menu portions are generous so you won’t walk away hungry, but the buffet lets you eat until your heart’s content. This cozy little fish house seems like an unlikely spot for oysters, but one bite and you’ll see why it’s so popular. The seafood here is every bit as good as what you’ll find along the coast, but with a homestyle service that feels more like eating with friends and family than strangers. The best part is you can get their oysters combined with other seafood favorites so you never have to choose just one or the other. This favorite place for oysters serves ‘em up with a heaping side of southern hospitality. You can get oysters one of several ways, including Remoulade, chargrilled, on the half shell, on a po’boy, or as a full dinner with all the fixings. The service and food combination just can’t be beaten, plus portions and prices will also make you smile. This quaint little fish house comes highly recommended for a variety of reasons, including their delicious oysters. You can order oysters by themselves or as part their seafood platter, both of which come with fries, slaw, and hushpuppies. They’re only open Thursday through Saturday, so you’ll want to plan your visit accordingly. This steak and oyster bar gives you the best of both worlds. 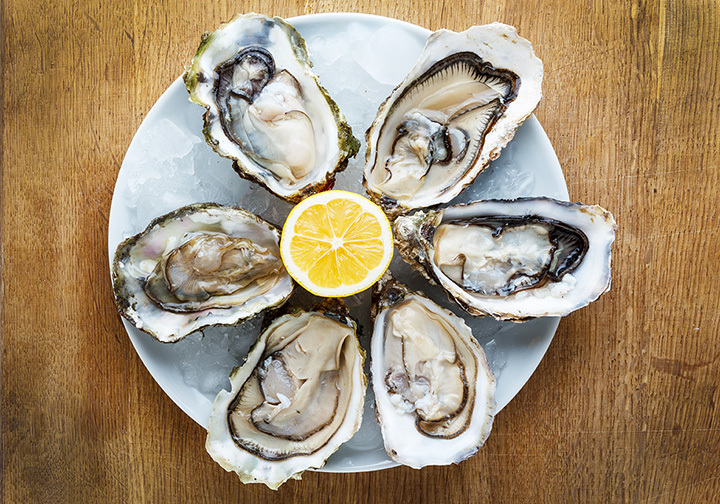 They have all the classic styles of oysters for you to choose from, along with some inventive dishes that aren’t to be missed. If you can’t make up your mind, opt for a combo and get two of your favorites. The oyster creations here are straight from New Orleans, so you know they must be good! They have an entire section dedicated to their oyster bar, along with fried seafood platters that make it easy to sample a little bit of everything. Their oyster po’boys are equally amazing.